What’s the Difference between a Heat Pump and Straight Cool Air Conditioning System? Whether you are building a new home or just replacing the HVAC equipment in your existing home, you will be asked if you are interested in a heat pump or straight cool system? So what’s the difference? Straight cool air conditioning systems and heat pumps are similar in design. However, a heat pump provides both heating and cooling which means the outdoor heat pump will operate in both the cooling and heating seasons, while the straight cool system will only operate in the cooling season. Both systems use indoor and outdoor coils to transfer refrigerant. The blower assembly within the furnace or air handler forces air across or through the cooled evaporator coil to provide conditioned air to your home. The biggest difference of the two systems is a heat pump can reverse the process through a reversing valve allowing heated refrigerant to flow through the evaporator coil and raising the temperature in your home. 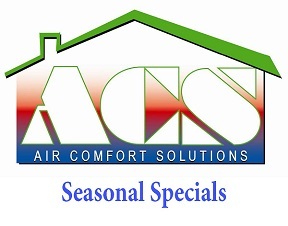 Straight cool air conditioners are less expensive to purchase and maintain, while heat pumps provide conditioned air more efficiently and may reduce monthly energy costs. The largest contributing factor would be the region of the country you live in. Regions with extended periods below 40-degrees would be better suited with conventional air conditioning supplemented with an alternative heating source such as a gas or oil burning furnace. Alternatively regions of the country with milder winters are ideal locations for heat pump installation. You should also consider that while a straight cool condenser only runs during the cooling season, a heat pump which handles both cooling and heating operates year round and could shorten the equipment lifespan compared to a straight cool air conditioner. It’s best to contact a HVAC professional to look at your current installation and give you the best option for your home. 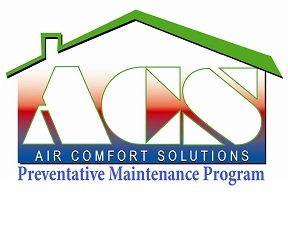 Air Comfort Solutions offers free in-home estimates for air conditioning or heat pump replacements, in addition to heating and air conditioning repair throughout the Frisco, TX and the surrounding areas; to include but not limited to McKinney, Plano, Allen, Little Elm, Melissa, and Anna. If you need air conditioning repair, service, or installation you can count on us for prompt, affordable and honest service.